A new biopesticide developed by Penn State scientists has the potential to turn the bedbug control market on its ear, thanks to a robust entrepreneurial ecosystem taking root at Penn State that's helping to push crucial discoveries out of the laboratory and into the marketplace. After decades out of sight and mind, bedbugs have crawled back into our homes, checked in as unwanted guests in our hotels, and infested our psyches, gaining a nightmarish foothold in a modern world that many thought was free and clear from this pest from the past. Largely forgotten but certainly not gone, bedbugs have made an aggressive resurgence over the past two decades. As evidence of their proliferation, a 2015 survey from the National Pest Management Association revealed that 99.6 percent of pest controllers reported having treated for bedbugs in the past year, compared to 25 percent of respondents just 15 years earlier. In that same survey, 68 percent of professionals pointed to bedbugs as being the most difficult pest they encounter. According to Nina Jenkins, a senior research associate in the Department of Entomology at Penn State, one of the main reasons why bedbugs are so difficult to control is because the bugs' secretive ways make it hard for traditional chemical pesticides to reach them. Rather than rely on traditional means, Jenkins and a team of Penn State researchers have developed a naturally derived pesticide that uses the bugs' vexing tendencies to humankind's advantage. "Bedbugs are extremely difficult to target directly," Jenkins said. "They're hiding in little cracks and crevices. Often, people leave the infestation for a long time before they even report it, so it becomes such a huge problem that dealing with it is a major operation. It involves collecting all of your clothing and laundering everything, keeping in it plastic bags, and reducing all of your clutter, so that a pest controller can actually apply the chemicals to the areas where the bedbugs may be. "You're not going to target all of them, but the hope is that somehow they'll come into contact with these chemical products and go on to die." Chemical pesticides require direct, long-term exposure to be lethal, a tall task given bedbugs' tendency to congregate in places that are challenging to access, such as behind baseboards and wallpaper, inside furniture cracks and seams, under carpeting, and amongst household clutter. This necessitates multiple chemical applications over a period of weeks, as well as thorough preparation work to clean and de-clutter the infested space, to kill all of the bedbugs. "It's only the pest managers that really insist on all of the preparation work being done properly, and by diligently doing these repeated applications, that they're able to bring the pests under control," Jenkins said. "Those pest controllers who don't implement these strategies and are just spraying in a cluttered house, maybe only once, have no hope of actually bringing those infestations under control." Heat can also be an effective bedbug killer. Heat treatments require massive heaters to rapidly heat a room to 130 degrees Fahrenheit, and then holding the temperature at that level for three hours. It is an efficient, albeit costly, solution, but works best in smaller spaces, such as hotel rooms, where the heat—and the bugs—can be contained. However, it is difficult in a large home or in an old property to bring all areas up to the correct temperature. Just as bedbugs can run from the heat, they also have proven to be extremely efficient at adapting to the chemicals that pest professionals spray their way, as insecticide resistance among bedbugs is a mounting problem. 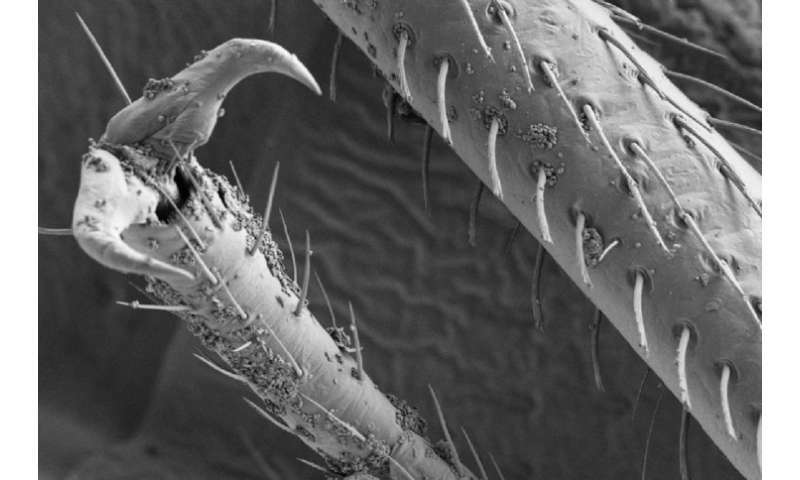 "It's just what insects do, they find ways to adapt," Jenkins said. "Once you have a mutation for one chemical, often there's cross-resistance to other chemicals. So, it's a growing concern. That's not to say that all bedbugs out there are resistant, and there are products that still are able to control even resistant bedbugs, but that won't be the case forever." Jenkins and Matt Thomas, professor and Huck Scholar in ecological entomology at Penn State, have been working on the creation of biopesticides for more than 30 years. Both were part of a multinational team that developed a bioinsecticide coined Green Muscle that utilizes a fungal disease formulated in oil to control locusts and grasshoppers in Africa. The success of Green Muscle under field conditions in Africa, as well as a sister product, Green Guard, in Australia, led Jenkins and Thomas to take their knowledge about formulating fungal biopesticides and apply it to other targets, finding that the technique works for controlling mosquitos and flies. "Then we had a student in the entomology department, Alexis Barbarin, who wanted to see whether this technology would also work on bedbugs," said Jenkins. "We did very straightforward experiments to see whether it would work, and for bedbugs it worked the best of any pest we had ever tried. They died more quickly than the mosquitos and the flies with the same dose." In the study, the research team, comprised of Jenkins, Thomas, Barbarin and colleague Ed Rajotte, professor of entomology at Penn State, exposed groups of bedbugs to a formulation containing Beauveria bassiana, a natural and indigenous fungus that causes disease in insects but is harmless to humans. The researchers found that exposure to the biopesticide caused the bedbugs to become infected and die within four to seven days. The fungus is a particulate, so when bedbugs walk across a sprayed surface, they pick up the spores like wet feet in sand. Once covered in the spores, the bugs spread them around by grooming themselves, and within 20 hours of exposure, the spores germinate and colonize the body. 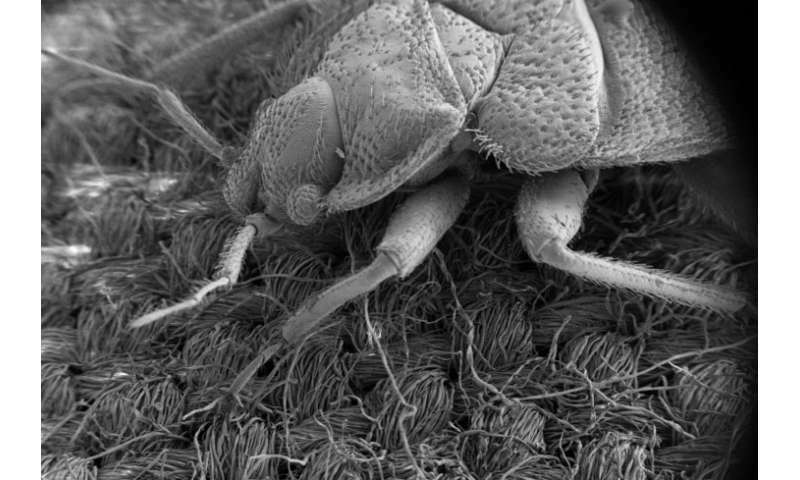 Of critical importance, the researchers also discovered that they needed to expose only a small percentage of the population to the fungus to achieve nearly 100 percent infection, as the exposed bedbugs returned to their hiding places and physically transferred the spores to the others. The result was startling, Jenkins said. Rather than needing to spray the bugs directly, the researchers found that they only needed to strategically spray the biopesticide on those surfaces where they knew bedbugs would turn up, such as the perimeter of a box spring. And Mother Nature—and the bedbugs' own natural tendencies—would take care of the rest. 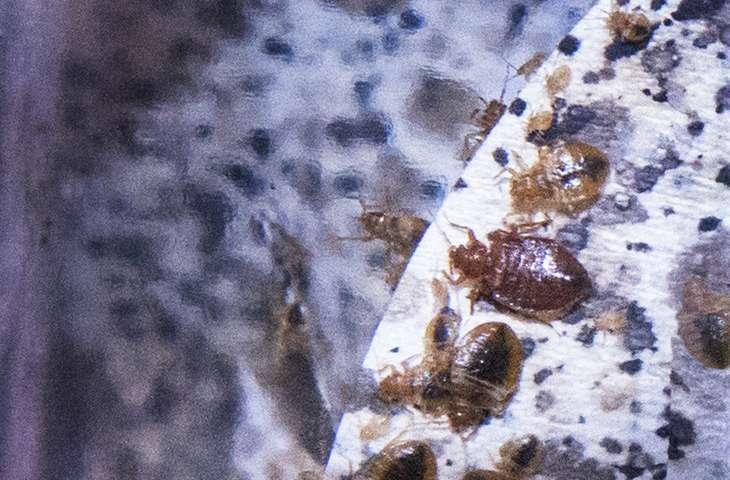 "Bedbugs are obligate blood feeders—they can't develop without blood," Jenkins said. "So if you can create a strategic barrier using our fungal spray—by spraying around a box spring or bedframe—where you know the bedbugs will have to cross that barrier in search of a meal, then they will pick up the fungus spores and go on to die." The biopesticide developed by the research team now goes by the name Aprehend, and it could become one of the earliest success stories spawned by the University's Invent Penn State initiative. Realizing they might have a commercially viable product on their hands, the team worked with Penn State's Office of Technology Management to file a patent on their discovery. But rather than license the technology, Jenkins wanted to be the one to bring it to market. Now she and business partner Giovani Bellicanta, a postdoctoral scholar in the Department of Entomology, are doing just that, with help from Penn State's network of entrepreneurial resources. "We were really lucky because Invent Penn State came along at just the right time," Jenkins said. "We've been able to tap into all of these amazing resources, and just the general atmosphere and attitude within the University toward helping entrepreneurs and promoting entrepreneurship has helped carry us to this point." Those resources have included grant funding—such as a $50,000 grant from the College of Agricultural Sciences' Research Applications for Innovation (RAIN) program that helped to cover regulatory costs associated with registering Aprehend with the Environmental Protection Agency—as well as legal aid in the form of contract assistance from Penn State Law's Entrepreneurship Assistance Clinic. But perhaps the biggest boon has been the knowledge gained from participating in a pair of business "boot camps" offered by the Ben Franklin TechCelerator @State College, which counts Penn State among its local partners. In addition to winning a $10,000 prize at the end of the second course, Jenkins and Bellicanta were challenged to think critically about their product, walking away not only with valuable startup funding, but also with a viable business model for their new company, ConidioTec. "The TechCelerator approach is so much more than a business management course, it's oriented toward people who think logically," said Jenkins. "It's about strategies for defining what your product actually is. What is your value proposition for your product? How is it going to make money? It may be really clever technology, but what is the route to market?" Through the TechCelerator process, Jenkins and Bellicanta realized a key element of their business plan: While existing products and services in the bedbug control market only work after an infestation has been discovered, Aprehend opens up a new, untapped market for bedbug prevention. "Because the Aprehend spray lasts and will do its job for a period of three months, it can be used as a quarterly preventative treatment in hotels," Jenkins said. "We can't prevent bedbugs from coming in, but if we can maximize the chances of bedbugs crossing a sprayed barrier on their way to or from their hideout, we can prevent an infestation from establishing." Jenkins said the goal is to have Aprehend on the market and in the hands of professional pest controllers sometime in 2017. The product could change the way bedbugs are managed both in the United States and beyond.